We at BuyATimeshare.com know that everyone is looking to save money, but you can't pass on your vacations! 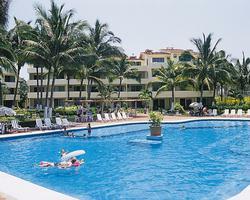 That's why we suggest that you buy a Bahia del Sol Beach Resort timeshare! By buying through an individual owner off our website, you can save up to 60% of what the resort charges, and still have the same fantastic 5-star vacation year after year! 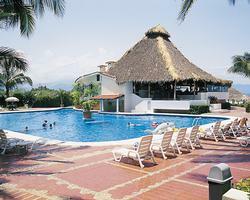 Bahia del Sol Beach Resort is located on Costa Rica's North Pacific Golden Coast, in the famed Potrero Beach area. The resort is just steps away from the artistic tropical gardens, centennial trees, and a pristine beach with spectacular sunsets. Guests will be impressed with the luxury units, on site amenities, and surrounding activities available at the Bahia del Sol Beach Resort. With our efficient and expert staff, you know that we will find you the exact property you are looking for at the best price possible-no hard sales, and no pressure-and we will help with negotiations, paperwork, and closing in an efficient and professional manner! So don't put off owning your next amazing timeshare, call BuyATimeshare.com, and buy a Bahia del Sol Beach Resort timeshare today! Contact Bahia Del Sol Beach Resort Specialist Today!